There is a lot of good news in Houston. Matt Schaub has proven he can move the ball, and now just needs to stay healthy and stop turning it over. I’m more concerned about his durability. He is an accurate and strong-armed quarterback who should learn how to read defenses as he becomes more experienced. Running back Steve Slaton proved to be a great pick for the Texas as he gained 1,659 yards from scrimmage as a rookie. He isn’t the toughest runner, and he struggles a bit in short yardage situations, but there are specialty backs for just such situations. Right now the Texans are going with Chris Brown as Slaton’s backup. Brown should benefit from having a light workload as he has proven to be injury prone. 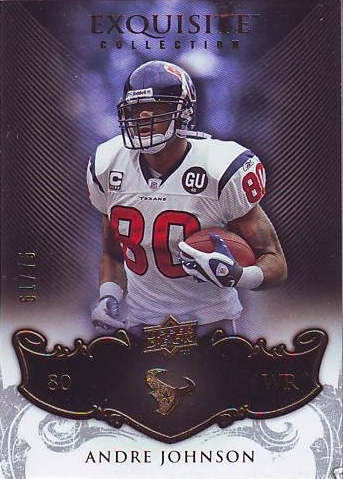 Wide receiver Andre Johnson is playing at an elite level (think Larry Fitzgerald). Defenses double-teamed Johnson so WR Kevin Walter took advantage. Tight end Owen Daniels was another beneficiary, as he put up excellent numbers. Receivers David Anderson and Jacoby Jones were effective in limited usage. Andre Davis was ineffective in limited usage. The Texans drafted two tight ends that are going to have very different roles. TE Anthony Hill is going to be used primarily as a blocker, while James Casey is going to be groomed as Daniels’ backup. Casey was probably a steal in the fifth round. Alright, the Texans have quality skill players on offense. Kudos to them. Unfortunately the Texans’ offensive line is not at the same level as the rest of the offense. I was surprised that the Texans went with center Antoine Caldwell in the third round, but I agree with the sentiment. Right tackle Eric Winston did a pretty good job, although not as good as the job he did in 2007. Left tackle Duane Brown got demolished, but he was a rookie and should improve. Left tackle Chester Pitts has successfully made the transition from tackle to guard. The Texans’ offensive line was exceedingly healthy last season and if there are injuries on the line the offense will likely struggle. I should note that the Texans are “Broncos South” as they are led by Gary Kubiak, and their offensive line is run by Alex Gibbs. Gibbs’ work in Denver and Atlanta was nothing short of exceptional. I’m just concerned he’s being asked to make chicken salad with chicken feathers. The Texans’ defense was abysmal last year, particularly against the run. They picked up defensive end Antonio Smith to play opposite Mario Williams. Smith should be an upgrade over the departed Anthony Weaver, particularly against the run. Former first-round pick defensive tackle Amobi Okoye might become a bust, but he is still only 22 years old and could develop. The Texans drafted outside linebacker Brian Cushing in the first round, and signed OLB Cato June, but unfortunately June is injured and out for the season. Even without June, the Texans have decent depth at linebacker as ILB DeMeco Ryans and OLB Xavier Adibi are both returning. Ryans played very well last season but needs more help from the defensive line. OLB Zach Diles was going to spend more time on the bench this season with the addition of June, but now will be given a chance to build on his performance from last season. Actually, upon further review, the Texans’ front seven looks like it could be pretty good. The only weak links are the tackles. Unfortunately, the defensive backfield is filled with weak links. Cornerback Dunta Robinson was superb when healthy but he was injured last season and I’m not sure he’s back to full strength. CB Jacques Reeves is nothing special. CB Fred Bennett looked promising a few years ago but has since been exposed and is now a nickel corner. Free safety Eugene Wilson is fine, but strong safety Nick Ferguson was ineffective and has been replaced by 2008 sixth-round pick Dominique Barber. Barber is athletic, but teams will attack him until he proves he can handle it. Kicker Kris Brown is one of the best kickers in the NFL. The Texans were quite good returning punts, and exceedingly awful in punt coverage. Punter Matt Turk is near the end of his career and the Texans would be wise to find a replacement if he struggles. I can understand all the optimism the Texans generate. They do have a dynamic offense and some talent on defense. With a softer schedule and an easier division I might share such optimism. As is, I see a losing season in Houston: 7-9. 12-14-12-13-12. This combination represents the number of wins, per season, the Colts have had over the last five years. I wonder if we have taken the greatness of the Colts for granted because they only won one Super Bowl. 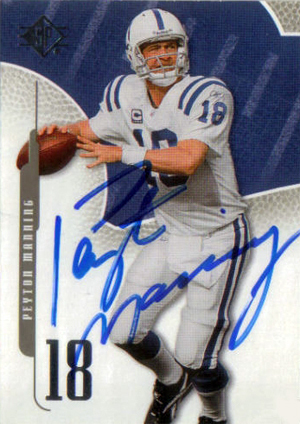 Tony Dungy is gone but Peyton Manning remains. The Colts are no longer as one-sided as they used to be. The offense is still one of the best but the defense has now improved to the point where it is a strength. With Dungy gone the defense will likely become more aggressive. Peyton Manning remains one of the best (and possibly THE best) quarterback in the NFL. He has a deep understanding of the game to go with his elite physical skills, although those skills do not include much in the way of mobility. If he goes down, the Colts are obviously done. Backup Jim Sorgi is generally good for one meaningless game a season. Running back Joseph Addai was much less explosive than the Colts were expecting. The Colts only managed to average 80 yards on the ground a game. Addai is well rounded and is useful as either a blocker or receiver in the passing game. The Colts drafted RB Donald Brown in the first round; he was very productive at Connecticut and should provide a boost for the Colts. Wide receivers Reggie Wayne and Anthony Gonzalez, and tight end Dallas Clark have been fantastic. All three should benefit with the removal of Marvin Harrison. TE Gijon Robinson’s job is to block. Wideouts Pierre Garcon and Austin Collie are competing for the slot receiver job. I have more confidence in Garcon but I trust the Colts to choose wisely. The Colts’ offensive line was decimated by injuries and it showed in the line’s performance. They re-signed center Jeff Saturday. Backup center Jamay Richard looks like a suitable replacement but center for the Colts is a tough position (due to having to change blocking assignments as Manning switches plays) and it will take Richard some time to adjust. Right tackle Ryan Diem is consistently good in pass protection but much less effective as a run blocker. The bigger issue for the Colts is left tackle Tony Ugoh. He has struggled with injuries and hasn’t developed into the power-blocker the Colts were expecting. He remains a solid pass-blocker, but much weaker in run blocking. In fact the entire offensive line seems to have been constructed with pass blocking as the main goal and run blocking as an afterthought. In the Dungy era the Colts’ defense was based on speed and the Tampa-2 coverage principles. Simply put, the Colts’ defense traded size for speed and traded power against the run for more field coverage to stop the pass. In football, like life, there are a variety of tradeoffs we are forced to make. Head coach Jim Caldwell and defensive coordinator Larry Coyer are moving in different directions. They drafted defensive tackles Fili Moala (second round) and Terrance Taylor (fourth round), and brought back DT Ed Johnson (previously dismissed after a drug arrest). Defensive ends Robert Mathis and Dwight Freeney are both explosive pass-rushers and will draw most of the offense’s attention. The Colts retained defensive tackles Raheem Brock and Eric Foster and can now rotate between size and speed. I had as many sacks as the Colts linebacker corps did last season. Inside linebacker Gary Brackett rates pretty highly. The rest, well, let’s just say they wouldn’t attract too much attention as free agents. The Colts’ secondary is excellent, although it does have some question marks. Cornerback Kelvin Hayden has developed into a top pro. CB Marlin Jackson is also very good but has to recover from an ACL tear. Tim Jennings is solid as a nickel cornerback. Rookie CB Jerrod Powers looks to be a good fit for the Colts. Strong safety Bob Sanders’s injury problems have given Melvin Bullitt a chance to develop, and he has proven to be quite capable when Sanders inevitably hurts himself. Free safety Antoine Bethea does an excellent job of playing centerfield while the strong safety cheats up near the line. I don’t know why the Colts don’t care about their special teams units. Perhaps they simply didn’t want to make the tradeoffs required to have good coverage units. The Colts have been consistently bad on special teams. This off-season they lost one of their best special teams gunners, Darrell Reid, to free agency. Perhaps in a few years the Colts will have rebuilt their special teams units, but for now they look awful. The Titans won the AFC South last season but it seems that so long as the Colts have Peyton Manning they remain the favorite to win the division. It is only due to the presence of a fairly tricky schedule that I have the Colts going just 11-5. 10.2? It isn’t as if Football Outsiders thinks that the Jaguars have an easy schedule. Their projected average opponent has a DVOA of 1.4%, which is right around the median (15th toughest schedule according to Football Outsiders). The Jaguars weren’t quite as bad as that 5-11 record suggests. (6.2 Pythagorean wins), but even so, 10.2 wins is a huge improvement. The 2008 Jaguars had massive injury problems, particularly along their offensive line. They lost guards Vince Manuwai and Mo Williams in the first game. Center Brad Meester missed the first six games of the season. Tackles Khalif Barnes and Tony Pashos had off years. Overall, the offensive line was a disaster last year and the entire offense suffered because of it. KUBIAK loves when teams use high draft picks on offensive lineman and the Jaguars drafted two of the best: offensive tackles Eugene Monroe and Eben Britton. I love both picks. The Jaguars also signed offensive tackle Tra Thomas. The offensive line should be much improved but there are other issues the Jaguars have to deal with. Quarterback David Garrard proved in 2007 that he can run an offense. He had a lousy season in 2008 but much of that can be blamed on his offensive line and receiving corps. When he did have some time to throw, usually from the shotgun, he was highly effective. Running back Maurice Jones-Drew is exceptional despite his small size. He has an elite mix of quickness, agility, hands, and vision that allow him to decimate defenses when in space. 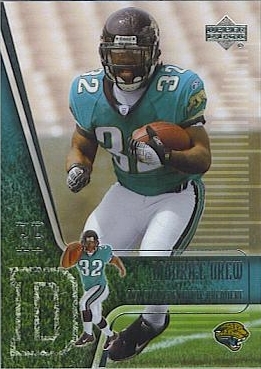 I’m not sure he’ll be able to physically handle the workload without the help of RB Fred Taylor. The Jaguars got great value in the seventh round with RB Rashad Jennings. While he played most of his college career at Liberty, he started as a freshman at Pittsburgh and should be able to adjust to the speed of the NFL. The offensive line had an excuse for its bad performance in 2008; the receiving corps did not. Things might get even worse this season. The Jaguars cut troubled receivers Matt Jones and Reggie Williams, and traded Dennis Northcutt to the Lions. They picked up former Rams WR Torry Holt in free agency, but I think Holt is on the decline. The Jaguars drafted a pair of wide receivers. Mike Thomas could grab a job as a slot receiver, while Jarett Dillard could eventually work his way up to the No. 2 slot. Wide receivers Troy Williamson seems to be in Jack Del Rio’s doghouse, but given the weak competition they face, if he performs well in practice he should get some playing time. WR Mike Walker is tremendously talented and should have a breakout season if he can manage to stay healthy. Tight end Mercedes Lewis needs to drop fewer balls or else TE Greg Estandia is going to steal some of his playing time. I’ll be blunt: the defensive line looks terrible. Defensive ends Derrick Harvey and Quentin Groves were awful as rookies, although Harvey flashed some talent in a two-sack effort against Baltimore. Groves might have to move to linebacker. Defensive tackle John Henderson isn’t as effective as he used to be and struggled with an MCL injury last year. DT Rob Meier was dominant in 2007 but regressed in 2008. The Jaguars drafted DT Terrance Knighton in the third round. I’m not sure how productive he’ll be as a rookie but he does give the Jaguars some defensive line depth. The Jaguars no longer have linebacker Mike Peterson, but Daryl Smith, Justin Durant, and Clint Ingram should do a good job in his absence. Durant is a superior athlete. Smith is going to take over most of Peterson’s responsibilities and he appears well equipped to do so. The Jaguars have taken steps to improve upon the disasters that were their offensive line, wide receiving corps, and defensive line. That just leaves the disaster that was the secondary. The Jaguars took cornerback Derek Cox in the third round. Let’s just put it this way: He didn’t even get a listing as a prospect in Pro Football Weekly’s Draft Preview. Either their scouting department found a gem (and took him in the third round), or they were merely seduced by a tremendous Pro Day performance. Cornerback Rashean Mathis was effective when healthy. He’ll start alongside Brian Williams. Williams has played both safety and cornerback for the Jaguars. Free safety Reggie Nelson takes a lot of risks, but too many backfired in 2008. The coaching staff would be happy to see him rein in his aggressive instincts in 2009. The Jaguars signed former Eagle strong safety Sean Considine. Mathis and Nelson have talent but if they don’t improve this season, the secondary will again be a weakness for the Jaguars. The Jaguars are excellent in kickoff coverage. Apart from that, the special teams aren’t particularly effective. I could see 10 wins from the Jaguars if the offensive line gels. I could see six wins if the defensive line and secondary perform poorly again. I expect the offense to perform well and the defense to perform poorly. Balance things out and you get an 8-8 season. Twice in my life Tennessee has had the best team in the NFL. Both times they outplayed the Baltimore Ravens in a playoff matchup. Both times they lost. I actually feel bad for the Titans, as they are now far away from the Super Bowl. Quarterback Kerry Collins did a yeoman’s job stepping in for Vince Young. After being the 2006 offensive Rookie of the Year, Young has failed to develop. He’s still young enough to learn how to read defenses and become a quality starter. I’ll be delicate and say I have concerns about his willingness to put in the work he needs to if he wants to reclaim the starting job. Patrick Ramsey might move up on the depth chart ahead of Young. Collins can continue to be effective so long as the running game is the main focus of the offense. Running back Chris Johnson was phenomenal as a rookie and his playoff injury vs. the Ravens was the turning point of the game. 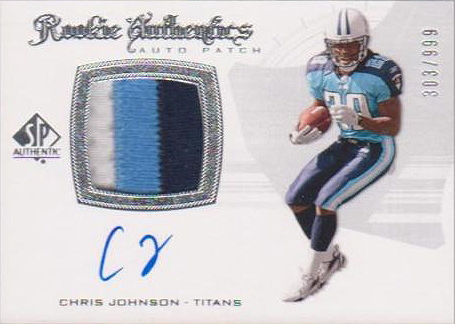 Johnson is a speedster who pairs well with LenDale White. White is a physical runner who excels in short yardage situations but is not limited to them. Please note: White had zero fumbles in 2008, a massive improvement over the five he had in ‘07. White is in a contract year so expect another good performance. The Titans decided their receiving corps needed a bit of an upgrade. They signed former Steelers wide receiver Nate Washington and drafted WR Kenny Britt. WR Justin Gage will start across from Washington. Britt is a solid possession receiver while both Gage and Washington can attack you deep. The Titans franchised tight end Bo Scaife. He isn’t an elite performer but he does fill a need as a short-yardage receiver. Rookie TE Jared Cook is a former wide receiver who could prove to be an excellent offensive weapon if he can add a modicum of blocking skills to his game. Left tackle Michael Roos had an absolutely outstanding season. If he can maintain his level of play he’ll become a household name. Apart from center Kevin Mawae, the rest of the offensive line lacks pedigree but still turned in a great performance in 2008. The line was exceedingly aggressive and physical. I don’t expect the line to perform as well as they did last season, but even if they regress a bit they are still a major plus for the Titans. It is hard to judge the quality of the Titans’ defensive line, as offenses had to spend two or three players to block Albert Haynesworth every play. Haynesworth has found his fortune in Washington. The Titans still have a deep defensive line. Jason Jones will likely slide down from end to tackle to replace Haynesworth. He had a great game against Pittsburgh but he, along with DT Tony Brown, will face a lot more offensive-line scrutiny without Haynesworth to distract offenses. Rookie DT Sen’Derrick Marks will provide depth and allow Brown and Jones to stay fresh. Defensive ends Jevon Kearse and Kyle Vanden Bosch are both shadows of the players they used to be. Vanden Bosch might bounce back if he returns to full health. Backup Jacob Ford had seven sacks last season and will see plenty of playing time. If either Kearse or Vanden Bosch continues to decline, defensive ends William Hayes or Dave Ball can step up. Outside linebacker Keith Bullock leads an effective but not exceptional linebacker corps. OLB David Thornton is versatile, as he is strong against both the run and in pass coverage. I’m not sure rookie ILB Gerald McRath is ready to step in and help but if the Titans suffer an injury to one of their linebackers we’ll find out. Cornerback Nick Harper put up excellent numbers, although he did so with significant safety help. CB Cortland Finnegan did not have equally impressive numbers, but he had the much harder coverage jobs. Free safety Michael Griffin has excellent speed and ball-hawking skills. Strong safety Chris Hope is a physical presence and was effective in pass coverage and as a run stuffer. The only concern about the Titans secondary is depth. Losing Harper would be a minor concern, but the rest are all tough to replace. The Titans grabbed CB Ryan Mouton in the third round. He is small but might be able to step in and cover slot receivers. Kicker Rob Bironas has blossomed into a star, or at least as much of a star as a kicker can be without making multiple Super Bowl-winning kicks. I probably would have tried to find a replacement for punter Craig Hentrich. The Titans could also improve a bit on their punt return game, although they have brought in no personnel for those units. The Titans were a great team last year due to an outstanding defense and a strong running game backed up by a consistent quarterback who didn’t make mistakes. I really like head coach Jeff Fisher but I don’t think he’ll be able to get this team to double-digit wins this season. The Titans still have enough talent on both sides of the ball for a winning season so I’ll go with 9-7.